Hi guys! I'm still feeling quite fatigued, and still haven't narrowed down exactly why, so it's going to be a super quick post again today. 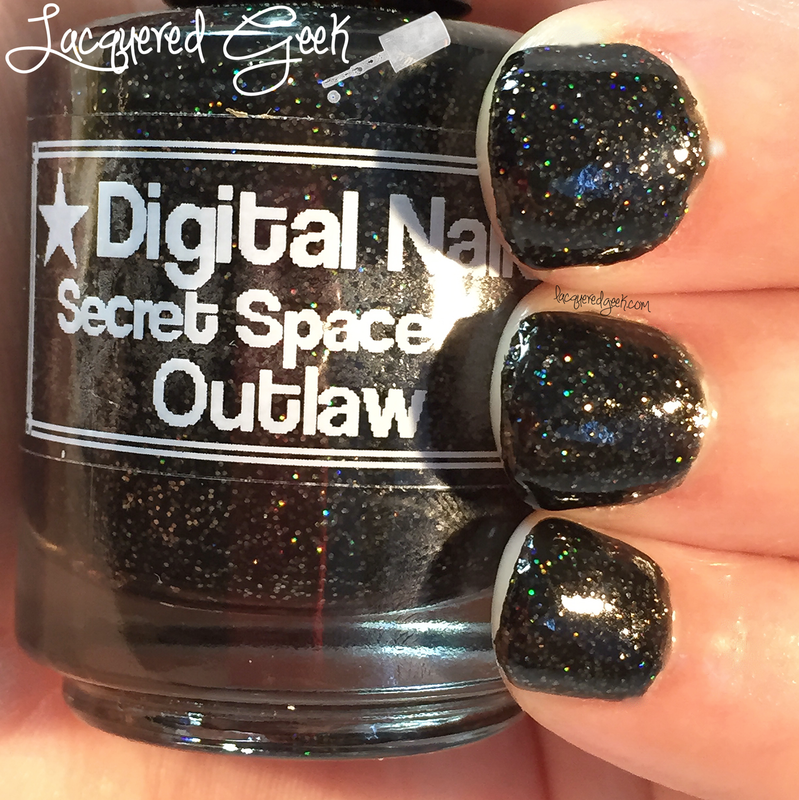 I've got another polish from the Definitely Not Cute collection from Digital Nails to share with you today. Secret Space Outlaw is inspired by Puppycat's song/story that he sings to Wallace (and possibly Puppycat's secret identity). Secret Space Outlaw is a black jelly full of sparkly charcoal glitters. It's so very sparkly! Like crazy sparkly. 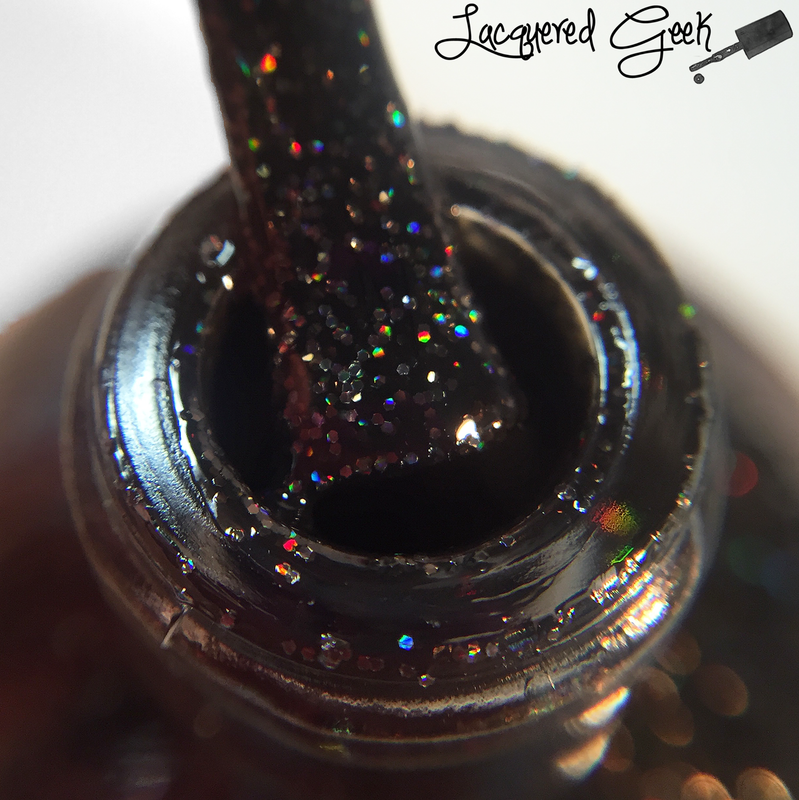 The amount of glitters that have been packed into the polish does cause it to be a bit thicker, but still manageable. You will need a good thick top coat though. For these photos, I used 2 coats and a top coat. 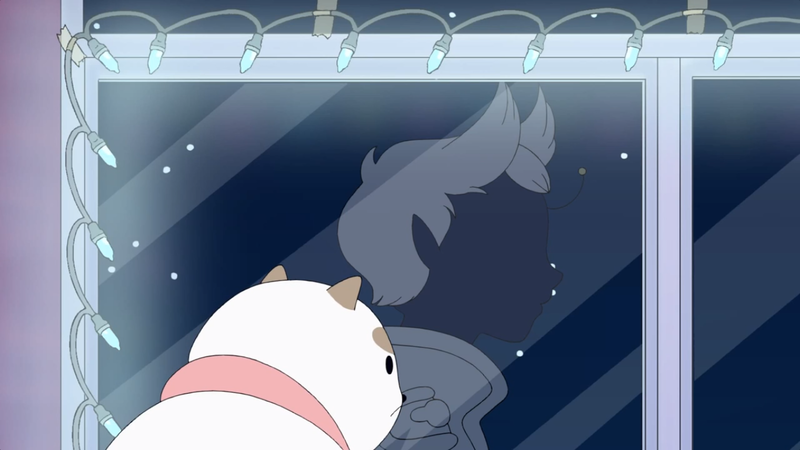 I absolutely love Puppycat's song. I could just listen to it over and over, and it may just be the ringtone on my phone. I have just one more polish from the Definitely Not Cute Polish to share with you. The polishes from this collection can be purchased from Digital Nails. So what's your ringtone? Most of the ones that I really like.... I can't use because of questionable language! There is a great one that is to the tune of "Let It Go" but is more about "F&^% it all"
So pretty! I love black jellies with glitters! So much depth! Lovely swatches! I'm not such a fan of black and glitter but this is really pretty!! I'm so weird about black polish, but I really like how it looks with the glitter on you. Mayyyybe I can be convinced (especially with dark colors coming out now in fall collections)! 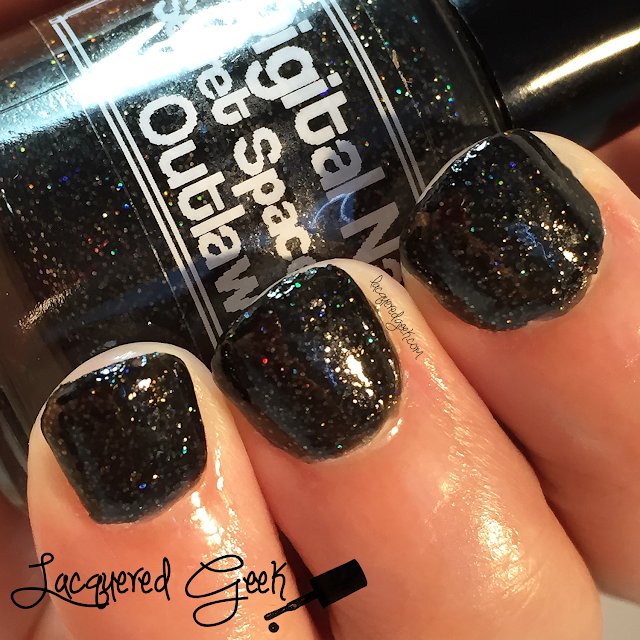 Black jelly with holo glitter? You can never go wrong with that combo. Such a pretty polish! Like a little Galaxy on each nail!